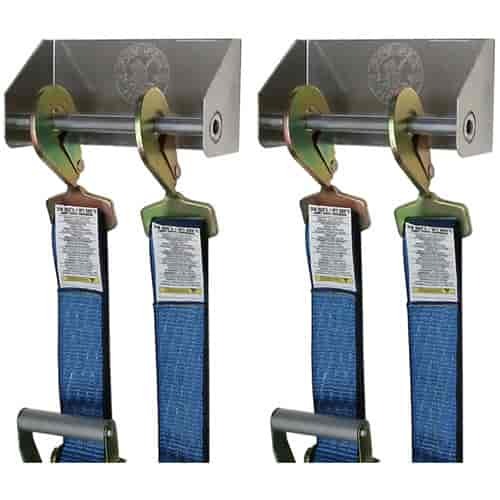 Tired of tripping over your vehicle's tie-downs or trying to find them? Mount 'em up and outta the way with aluminum tie-down hangers from Pit Pal. They hold multiple straps and come in three widths to fit your space.